Recisio and Tency Music are excited to announce an exclusive collaboration with Ubisoft for the release of the Just Sing karaoke game. The agreement provides UbiSoft with over 40,000 karaoke tracks from our extensive catalog in addition to hosting and administration services, consolidating our position as leader in high quality karaoke music and as music technology service provider. Recisio is very happy to open one of the largest karaoke box in Europe, with 15 private rooms and a large room underground for concerts, karaoke parties and business events. Recisio aims to make this place a flagship in Lille and the surroundings by offering a unique experience in an exclusive location. Each room will feature a unique design and state-of-the-art technologies to give singers a first-class experience. Learn more on KaraFun Bar Lille and on our Facebook page. Recisio and KaraFun are thrilled to welcome as a worldwide exclusivity Adele's catalog. The KaraFun website is one of the only karaoke services that has received an agreement to feature songs like Hello, Someone Like You or Skyfall. 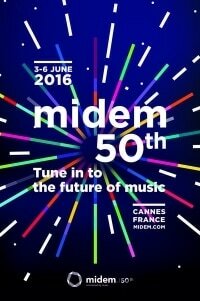 Recisio representatives will be present during this year's MIDEM from June 3-6, 2016. MIDEM provides the opportunity to meet with music representatives around the world to share, discuss and strengthen relations. Should you wish to meet with us, feel free to get in touch via the Contact page and a representative will be in touch to schedule a meeting. In addition to favorite features like offline sync and logo display, KaraFun professional users can now download the karaoke catalog of 32,000 karaoke songs in MP4 format. Subscribers will benefit from a monthly updated catalog of studio-quality songs that is fully downloadable and legally authorized.